As a first timer, coming this close to crocs makes me feel weird and uneasy – a feeling I bet you’re likely to feel too. Just as the name suggests “Mamba Village Crocodile Farm” is famous for its crocodiles and is home to the giant Nile crocodile. 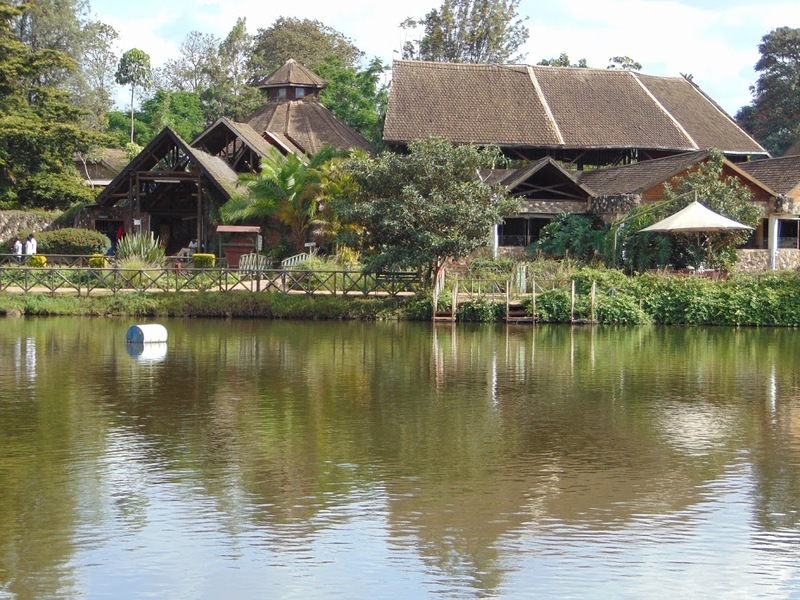 Located off the Langata – Karen road, “Mamba Village” is a fun place to take your children and family to spend an afternoon. The kids will love seeing crocs... even though they might give you and most other adults the heebie-jeebies. Don't worry though, a man-made lake at the middle of the park offers a beautifully relaxing view to calm your nerves. To access the park, you have to pay an entrance fee. Once inside other service like food and entertainment (boat rides etc.) are offered at an economical price. 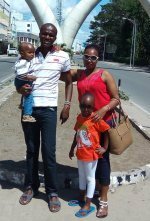 My favorite day to visit the Nairobi crocodile farm is on Sundays. It’s the only day visitors are allowed to see the crocodiles get fed. At 4:00 pm, we were all waiting to see the crocodiles snap their jaws as they grab their chuncks of meat –such an amazing and thrilling experience. On the roof-tops and trees scavenging birds were keenly awaiting the chance to steal their share. 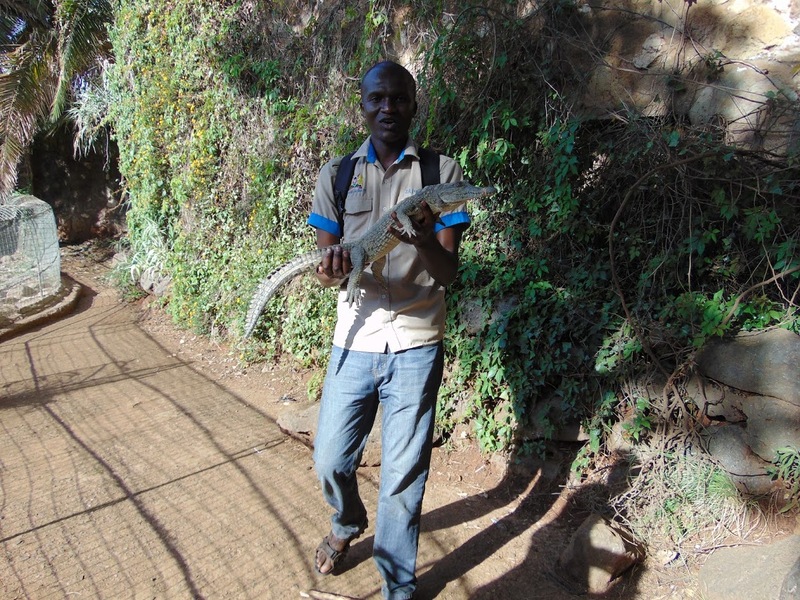 If you wish you can hire a tour guide to take you around the village or just walk around at your own pace. I was lucky, my tour guide gave me the chance to hold a little baby crocodile in my hands. Trust me; it's the scariest yet most amazing feeling ever! I was just praying the rubber band around its mouth didn't get loose. The crocodile ponds are all separated into different groups; adults, teenagers and small baby crocs - this stops the youngsters from being eaten by the bigger ones. As I was about to leave the Crocodile farm I came across a rare occurrence. 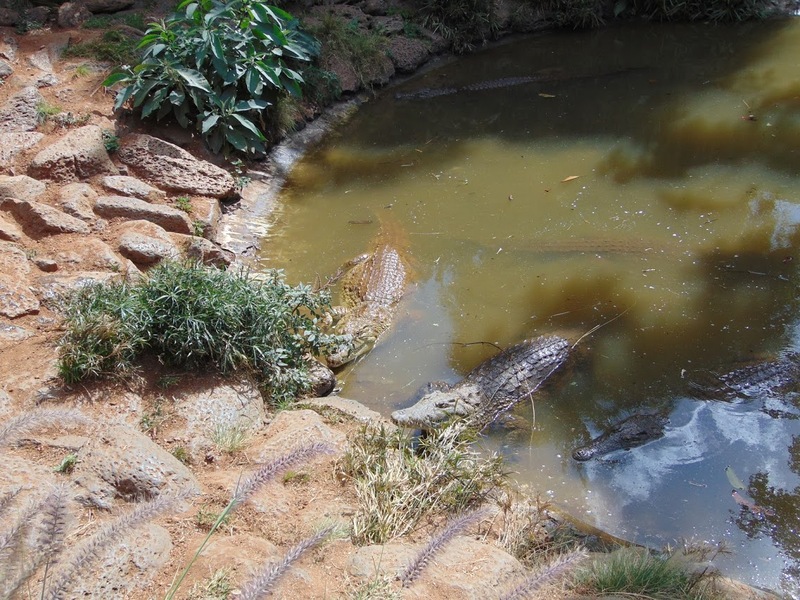 Two crocodile were being brought back from the Nairobi Agricultural Show. The guys carrying them from the lorry to the pond had to be extra careful. Untying the ropes around their bodies and mouths was the trickiest part of all as they can easily chomp off a limb. At the far end of the man-made lake is Ostrich Park where you can view these giant savanna birds at close range and even get selfies. Initially I was nervous feeding the birds but my guide helped me to pluck up courage and the experience was just awesome. Whenever you are near the birds you need to be cautious; avoid getting too close or touching them as they may get aggressive and peck you. 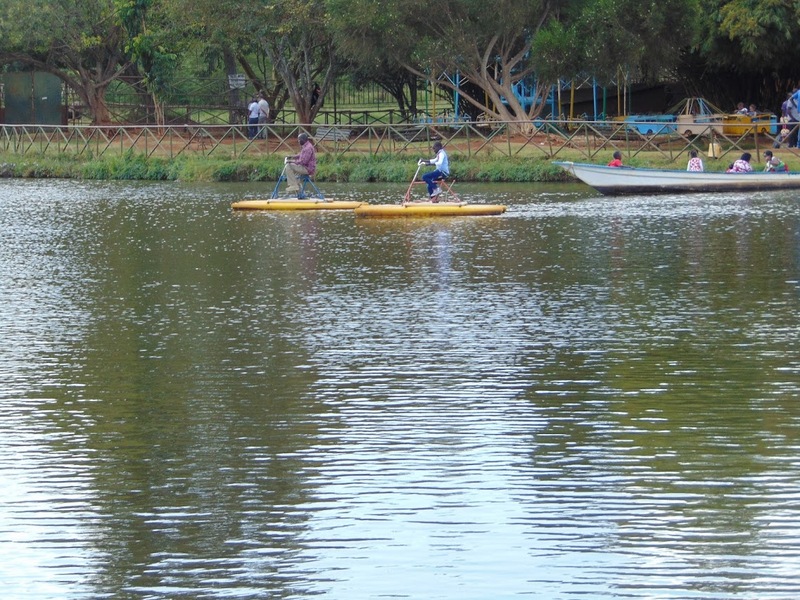 If you enjoy water activities, you can take boat rides or rent paddle boats and enjoy mucking about on the lake. Don't fall in though or the crocs will get you!! Only joking - the boating lake is croc free. Other exciting activities include camel and horse riding plus a children's playground with a bouncing castle. Alternatively just relax lake side in the Leisure Park gardens - the facilities can also be hired for functions like weddings etc..
Want a taste of crocodile? Nairobi Mamba Village Restaurant serves freshly grilled crocodile and other dishes (for those not partial to crocodile). Its unique interior and exterior African décor is lovely and the restaurant offers a breathtaking view as you enjoy lunch on the lawn alongside the man-made lake. And oh, did I mention their nyama choma... Superb! Something I noted at Mamba Village is that some sections of the park look as if they've been neglected and some structures and facilities are dilapidated and are in need of modernisation and improvement. The Crocodile pond water also has a rather unpleasant smell and needs to be replaced a little more frequently. 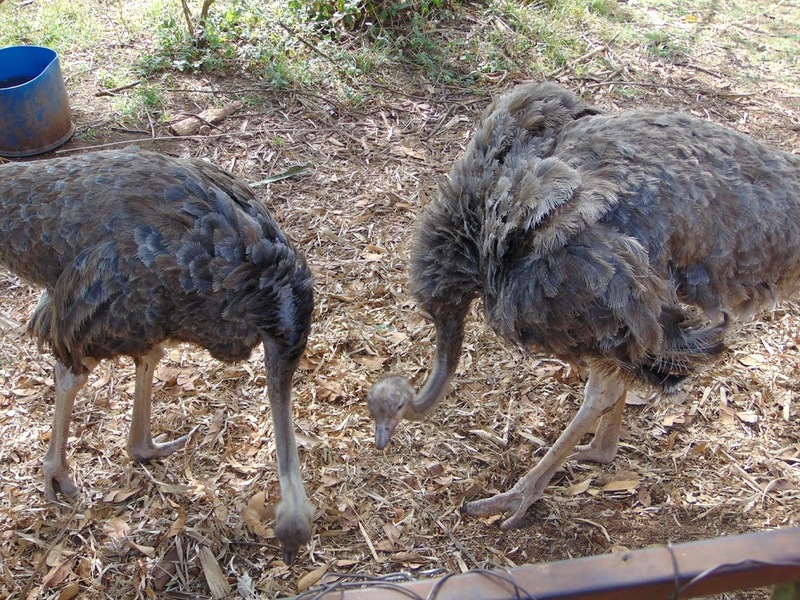 In my own opinion, since it’s close to other interesting attractions like the Nairobi Giraffe Center and the Karen Blixen Museum, you can easily combine a Crocodile Farm tour with other short tours within Nairobi and make your outing in the city more thrilling.